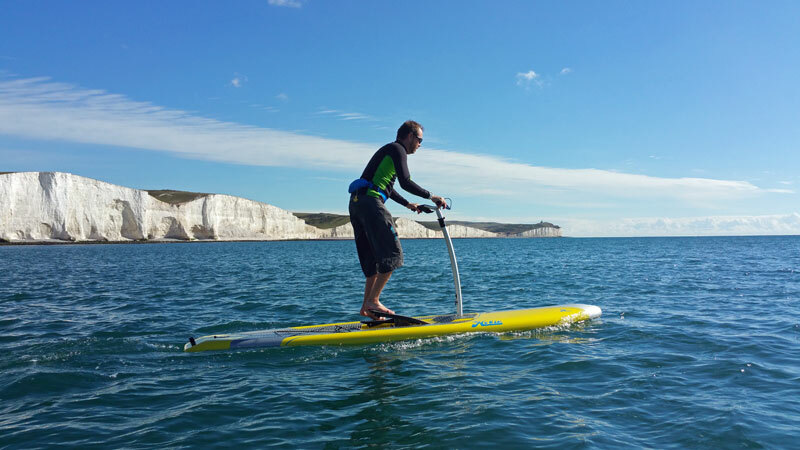 First came the Stand up Paddle board and then the Hobie Mirage Eclipse. 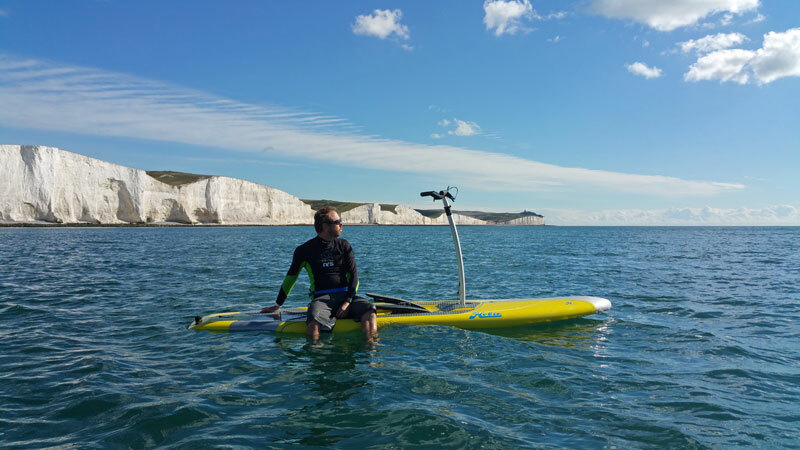 This revolutionary new type of watercraft allows the paddler (pedaler!) 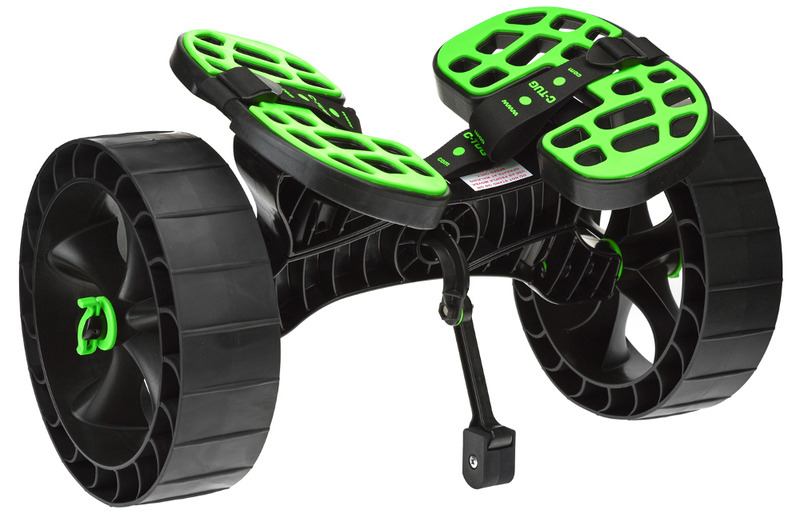 to simply step on, start pedaling and instantly the board will shoot forward under full control of the fingertip steering system mounted on the handlebars. 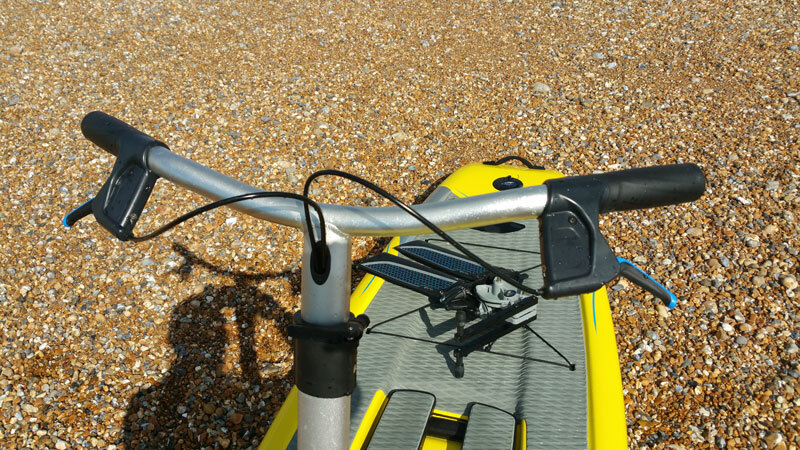 Using the handlebars to balance and the Mirage drive means the Eclipse is easy and intuitive to use with no special lessons required. 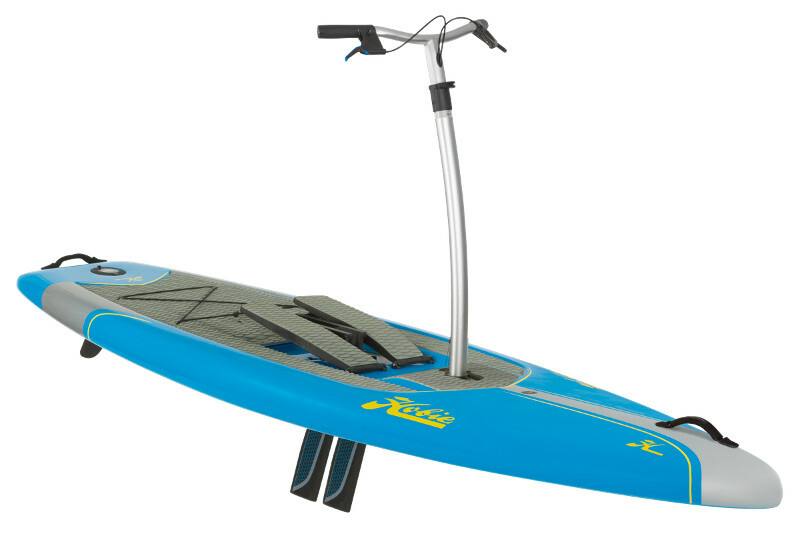 Hobie are masters of design and the Mirage Eclipse is no exception. 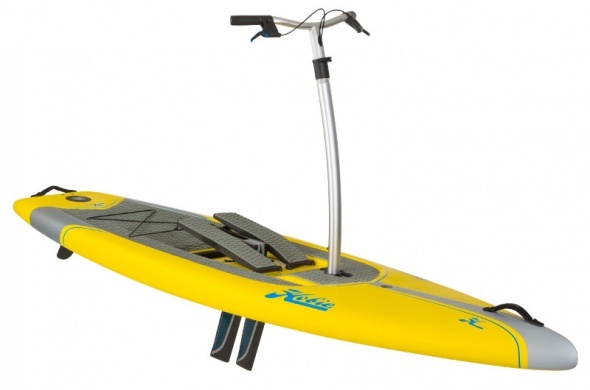 There are tie downs for your waterproof bag and a kick up rudder which will flip up as you beach. 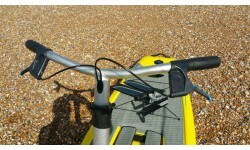 Steering is at your fingertips using bicycle style hand levers - squeeze right, go right. Squeeze left, go left...it that simple. 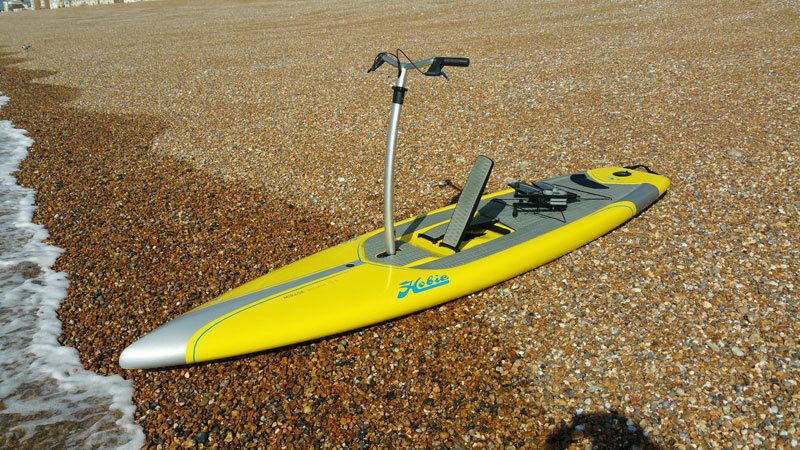 And just as Hobie Kayaks can be paddled as well as pedaled so can the Eclipse. 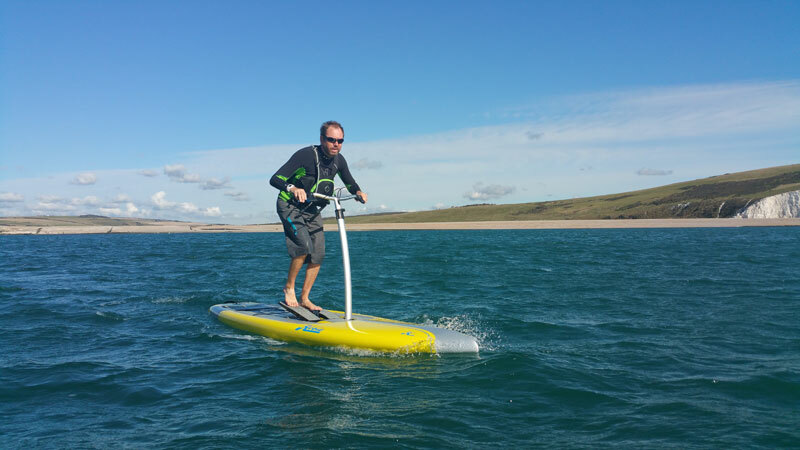 The handle bar removes in seconds and with the rudder locked in place to act as a skeg just whip out your paddle and the Eclipse becomes a standard (but very stable) paddleboard. 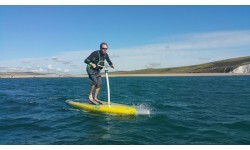 Please call us for more details on this unique and versatile craft. 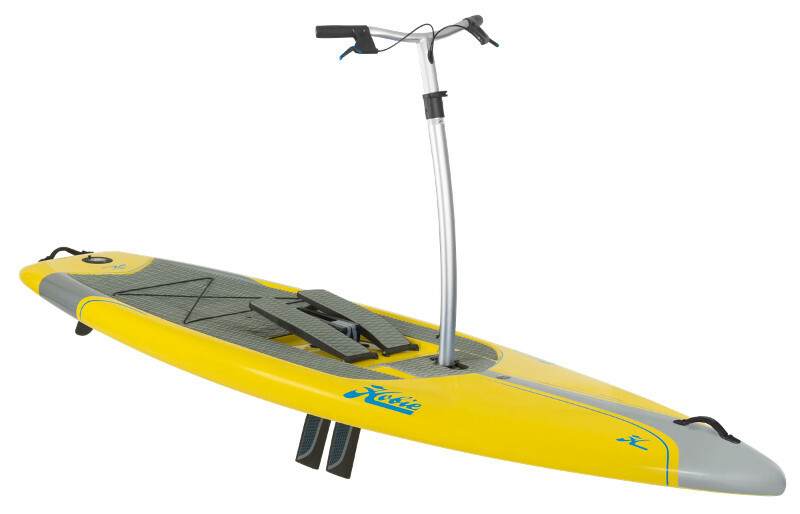 The C-TUG Trolley with Sandtrakz wheels from Railblaza makes it easy to move your Hobie over any surface including soft & harder ground. Constructed from corrosion proof reinforced composite material. 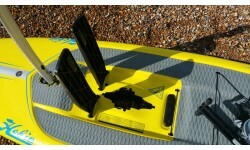 Werner Vibe Family 2pce Adjustable SUP Paddle - 68" to 84"
An excellent performance SUP paddle at an affordable price. 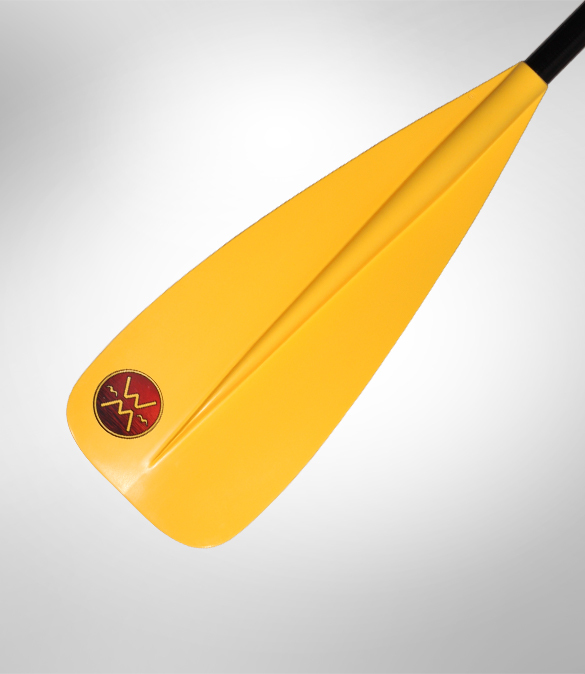 Injection moulded blades for impact & wear resistance with a lightweight fibreglass shaft. Adjustable to suit heights from 4’10” to 6’2”. 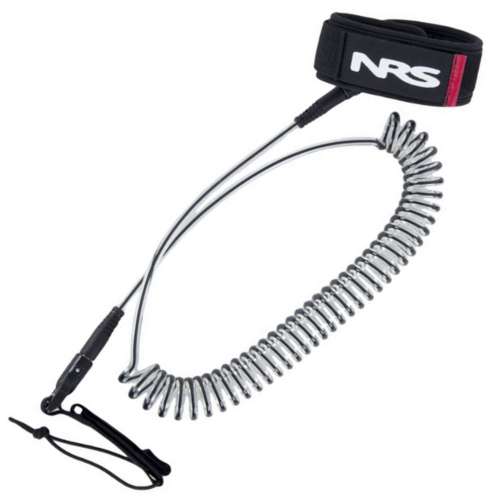 The NRS Coiled ankle leash is perfect for flatwater SUP paddling as it doesn’t hang in the water creating extra drag. A 20” coil with a comfortable padded 2” ankle cuff with duel swivels. 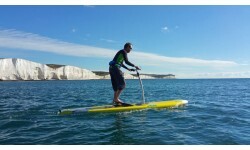 A stand up paddle board leash that can be worn around the waist or around your calf for when paddling in the surf. 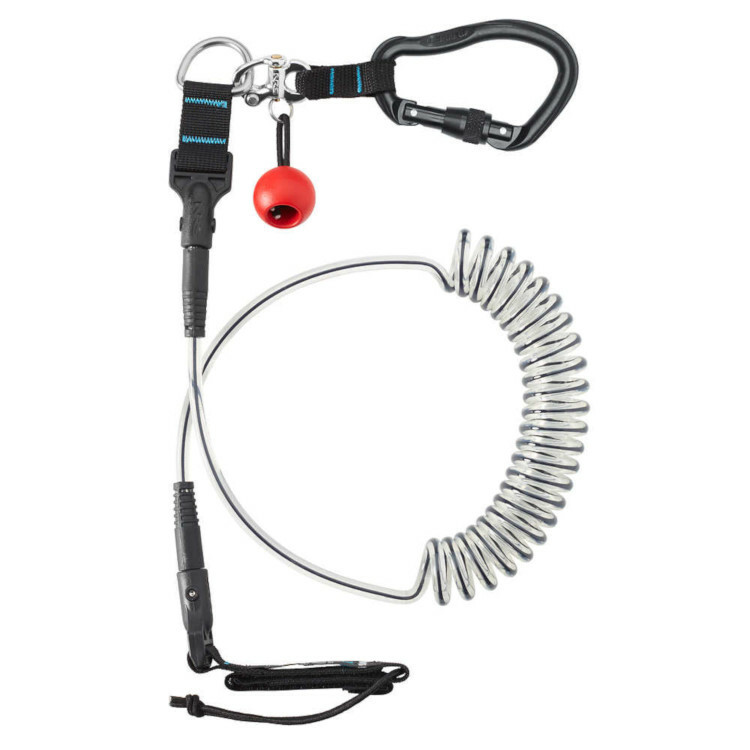 This leash features a quick release so that you can disengage when needed. Please call us for details & prices for delivery. Buy a Hobie Mirage Eclipse online from our website and collect from our store in Newhaven, East Sussex or from any branch within the Canoe Shops Group. There is no cost associated with this*. 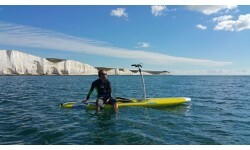 We can now offer 0% Finance on the Hobie Mirage Eclipse (0% APR Representitive).